We've just released a fully redesigned reading experience on Tablo, and a brand new logo to match it. Here's the lowdown on everything you need to know about our big new updates. Today we're unveiling an all-new reading experience on Tablo. It's a major redesign, and one that we hope makes it even easier for readers to connect and engage with your stories. If you're reading this book on the web then you're already looking at it. Welcome! Providing a great reading experience is arguably the most important thing that we do at Tablo. 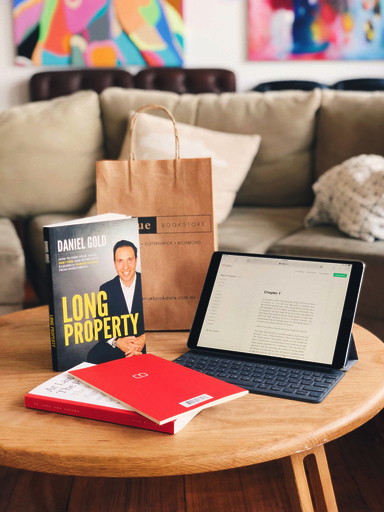 Even though our goal has always been to provide our authors with great publishing opportunities – to help you write, publish and build an audience – everything hinges on a reader's ability to connect with your work. There are a few headline features of the new reading experience. It's mobile friendly, so readers can enjoy your books on any phone or tablet. We've created a brand new commenting platform that lets you comment on and engage with any chapter of a book. The new reader automatically bookmarks your progress and syncs it across devices and, among other design touches, we've created a page that uses the colours of your cover to make every book look unique. We can't think of a better way to announce the new reader than to publish a little book about it. This is a little story of how the new reader, and all of its features, came to be. This is great news for me as a reincarnated writer on Tablo! I love digital too. I travel quite a lot and I just love feeling of walking around with a library in my pocket, and more available a few clicks away. The reading experience on Tablo is so comfortable and professional, and uploading my own writing is just as straightforward. I think this could prove to be a very exciting time. Beautiful work Ash and Team Tablo. The possibilities are fantastic, and can't decide which I love most - the look or the features. Clever people! Thank you. Wow! This is awesome! Bookmarks progress and syncs! Please people! Join Tablo! Now! The new update isn't working on my phone yet (I'm using a computer right now instead). Is anyone else having that problem? Other than that, it looks great! Hmm, it should be working on mobile in the browser. Are you able to file a support ticket? That way we'll be able to understand what mobile browser you're using and better understand what's going on. Looks great, Ash and team! I love the night mode moon! When Tablo launched a few years ago, it wasn't possible for authors to share their books. Every author wrote in private and their only outlet was to publish their book to stores. It's a strange thought for a product that today is so heavily focused on social reading and discovery. I was 19 when I started working on Tablo, studying at university and writing my own book. I loved to write. I spent most of my lectures working quietly on a book and, after months of hard work, I set about having it published. Even though writing a book is renowned for being incredibly hard, the biggest challenge I faced was getting my book published. I found myself confronted with a world of eBook formats, editors and distribution channels. I needed to learn everything about publishing, but the only thing I wanted to do was write. I was so conditioned to the world of blogging where publishing a post was as easy as clicking a button. It took me 6 months to publish my book and I almost gave up trying. The experience lead me to drop out of university to start Tablo with the goal of enabling anyone to publish a book. The very first version of Tablo focused on simplifying the publishing experience. We created a product that enabled any author to write a book and publish it to stores with a single click. It's a workflow that's still at the core of Tablo today. At the time though, every book on Tablo was private and authors could only publish their books when they were finished. The idea of publishing a work-in-progress came about by chance. In November of 2013 we partnered with the writing festival NaNoWriMo. NaNoWriMo is a global festival that sees authors write a 50,000 word novel in 30 days. A few authors were going to be tackling this challenge on Tablo and we thought, "Wouldn't it be cool if these authors could share their progress throughout the month to keep in touch with their readers." It seemed easy enough. 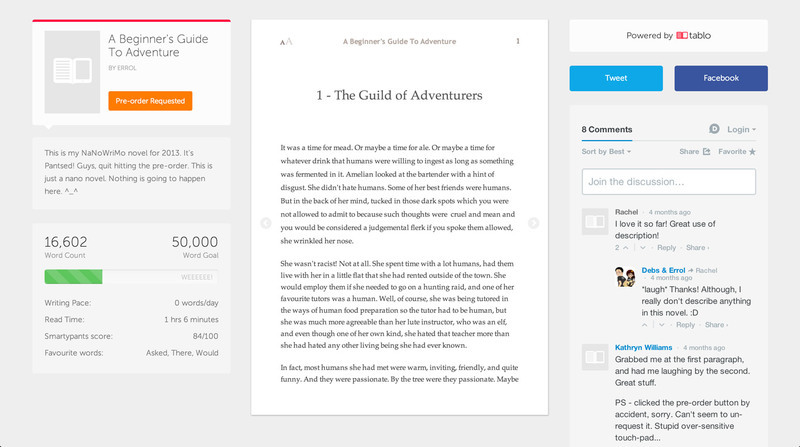 We sketched out a simple page with a word count, a book preview and a comments field. Our first reading page went from an idea to launch in just ten days. It was nothing more than an experiment, but it was pretty cool. Every time you refreshed the page you saw a live update on how the author was progressing. Comments meant you could leave feedback or post encouraging messages to keep the author motivated. We planned to switch it off when the writing festival finished, but after we launched it something strange happened. Authors started sharing their Tablo books relentlessly. They posted them on their blogs, shared them with their friends and added their Tablo links to all of their social media profiles. Authors started talking about plans for their novel. They shared their ideas for future books, and they spoke about Tablo like it was their home. Allowing authors to publish while they wrote completely transformed the way people approached Tablo. This one reader page, cobbled together in just ten days, transformed Tablo from a tool that made publishing easy into a platform that writers in 150 countries today call their own. This experimental page has today served stories to millions of passionate readers and even helped a handful of authors achieve their dream of becoming bestsellers. It accidentally became the most important piece of Tablo and redefined our vision for the publishing industry. Redesigning it has been no easy task. Characters so strange, interesting, yet, my story so unique! some more stories to come. Love watching this platform evolve. Our approach to creating the new reader has been very different to how we create products in the past. Usually at Tablo we have a tightly defined schedule of products that we need to develop. It might be a new design for our app or a better discovery engine for stories – anything that helps to improve the experience for writers and create more opportunities for your work. The product is then scoped out in detail, built and shipped on (read: slightly after) a launch date. The new reader began as an after-hours project. We wanted to see if we could create a better reading experience by making your text scroll vertically on a page. We cobbled together a demo, played around with it and, sure enough, we found ourselves reading and engaging with books more than usual. A scope or a launch date was never defined. Instead, we just played around and slowly improved the experience. We've been using this new layout internally for a few months now. Any time we read a book on Tablo we jumped into the background and swapped it to the new layout. Everything that you see, from the typesetting to the font controls and the night mode, is the result hundreds of small tweaks and iterations. We decided to launch it when we felt embarrassed to show people the old layout. The biggest change to the new reader is of course the long column of scrolling text. This is a big departure from the old layout where readers would click through the pages of a small simulated book. Some readers might miss seeing their work presented as a physical book. We'll miss it too, but trust us, this will help you achieve so more with your stories. Redesigning the book for the web has required us to think very carefully about the layout and interactions that we use. If the first ever book was published today, we think it would scroll vertically on the web. To create the perfect layout, we've spoken with experts in typesetting and heavily researched the art. Your books are presented in Fournier MT, a gorgeous typeface that dates back to 1742 (before they made the internet). We chose Fournier MT because of its imperfections. A lot of modern typefaces are mathematically spaced and perfectly kerned. Fournier is a beautiful typeface, but it also holds the minor inconsistencies that you might expect to see on a classic printed novel. Books now begin with a drop caps; paragraphs are lightly indented and perfectly spaced. Text is also justified on desktops and tablets. When you open a book on your phone, the text shifts to a left-aligned layout because this proved to be a far more natural reading experience on a smaller display. One consequence of departing from page turns is that we no longer have a tangible idea of where we are in a book. Turning a page and reaching the end of a chapter can feel like a genuine accomplishment, and this feeling can often be lost with a single column of text. That's why we've included a discrete red progress line at the bottom of the page to show you how far into the current chapter you are. There's also a small timer in the footer that shows you how many minutes are left in the chapter, so you know how much more you have to read before you go to sleep. The header and footer have been inspired by traditional novels. For centuries books have printed the title and current chapter at the top of the page in an area called the 'Running Header'. It's a wonderful way to provide context to where you are in a book. We've recreated that experience on Tablo. Any time you scroll up or hover your mouse over the top of the page, we display a running header with the current book and chapter. It disappears when you start reading to help you focus on your story. We don't expect people to notice a lot of these details, but that's OK. We've worked hard to hold onto some of the great traditions of typesetting, but have also been vigorous in reinventing the book for the web. The result is that you should feel nothing more than comfortable when reading a story on Tablo. We love the work our authors put into their book covers, and we want to show them off. The new header design uses the colours of your cover to create a rich and vibrant backdrop for your book. Every book on Tablo now looks and feels unique, and the effect it has on a reader is astounding. With a design that's so heavily based on your colours, your book now has a very visual personality. A crime mystery novel now feels like a crime mystery novel. A romance feels like a romance, and a thriller feels like a thriller. I'm finding myself obsessed with clicking onto new books to see what they look like. It's by far my favourite part of the new reading experience. As an added touch, when you finish reading a book we share the same rich banners of other books written by the author, to make it super easy for readers to engage with more of your stories. Comfort and accessibility have been two key areas of focus for the new reader. We've worked hard to pick the perfect font sizes and colour palettes to make reading as comfortable as possible. Even though it might look like you're reading black text on a white background, you're actually looking at a dark grey. A dark grey proved to be far more comfortable on the eye during long reading sessions. It's now super easy to toggle a font size up or down too, to make your stories accessible to any reader. We think night mode is going to be a great hit amongst our late-night readers (I'm one of them). Try clicking on the little moon icon in the footer. Toggling to night mode inverts the reader to shades of light and dark grey to reduce the exposure on your eye during late-night reading sessions. We also remember what mode you were reading in, so if you open a new book you won't be blinded with a flash of white light. A reader typically has a far more complicated relationship with a book than they do with a website or a blog post. Readers on Tablo will rarely devour a book in a single sitting. Oftentimes a reading experience spans multiple days and even transcends devices. You might read a few chapters at home on the web and then finish a book on a train using the Tablo app. For this reason, automatic bookmarking has been an incredibly important feature to implement. Tablo remembers where you are in a book, and then syncs it across all of your devices. This means you'll always pick up exactly where you left off. We even show you a little bookmark and timestamp to remind you when your last reading session was. By far the biggest piece of feedback about our old reader related to our comments platform. Disqus was never perfect – it was a remnant of our very first reader when we didn't have enough time to build something ourselves. Today, as a part of the new reader, we've overhauled Disqus and integrated our own custom commenting platform. You can now comment on every chapter to share your thoughts and reactions. Comments are linked to your Tablo account and you'll receive email notifications for all replies. One thing we've noticed on Tablo is that authors spend a lot of time replying with a simple 'Thank you' or an answer to a question. With the new commenting platform we've made it super easy for authors to reply directly to comments on their books. It's a workflow that's been designed around the way people already use Tablo today. Ohh I SO hope people will comment more fully now. It's so nice to hear what a reader is feeling about your words. Like Michelle, I wonder about replying directly to the person. I see your replied to my comment below but I can't reply to yours without creating a new comment. But other than that - if you call my spamming you guys with emails about what I want then yeah I inspire LOL. Love that this has been added. Commenting on chapters is a great function for writers to engaged with readers. How great are chapter comments! This was inspired by you Michelle. The feedback and ideas you share make a big difference to our direction for the product. With Tablo, you can now distribute your books for sale in eBook and paperback on nearly every bookshop in the world. Here's an overview of our three new distribution plans. 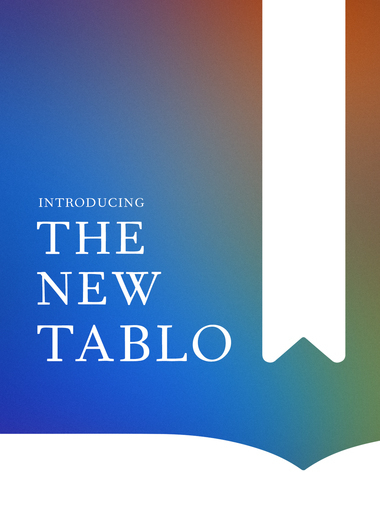 We’re launching the new Tablo, with paperback publishing, and distribution to 40,000 online and physical retailers. Anything you write can now be published to nearly every bookshop in the world.